Argument analysis: A narrow victory possible for death-row inmate with dementia? Today the Supreme Court heard oral argument in the case of Vernon Madison, an Alabama inmate who has been on death row for more than 30 years for the murder of a Mobile police officer, Julius Schulte. In that time, Madison has had several strokes, causing significant brain damage, and suffers from (among other things) dementia and long-term memory loss. As a result, Madison says, he has no memory of shooting Schulte. There was broad agreement today – including from Bryan Stevenson, Madison’s lawyer – that an inability to remember the details of a crime does not, standing alone, mean that an inmate cannot be executed. But Madison could still eke out the five votes that he would need to stave off his execution, with his fate almost certainly hinging on the vote of Chief Justice John Roberts. In considering Madison’s case, the Supreme Court is not writing on an entirely clean slate. In 1986, in a case called Ford v. Wainwright, the justices ruled that the Eighth Amendment bars the execution of inmates who are mentally incompetent; 21 years later, in Panetti v. Quarterman, the justices held that the lower courts should have considered an inmate’s claim that he suffered from “a severe, documented mental illness that is the source of gross delusions preventing him from comprehending the meaning and purpose of” his death sentence. 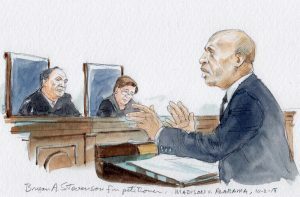 Stevenson opened his argument by telling the justices this morning that it is “undisputed” that Madison cannot “orient” himself to time and place – that is, identify where he is or what the day of the week, year or season is. As a result of his “severe disabilities,” Stevenson explained, Madison is “bewildered and confused” most of the time. But Roberts quickly focused on “exactly what issues are presented” in Madison’s case. It seems that there are two questions, Roberts told Stevenson: whether the Constitution bars the execution of an inmate simply because he doesn’t remember the details of his crime; and whether dementia can cause someone to be incompetent, so that he cannot be executed. Stevenson’s concession prompted Roberts to suggest to Thomas Govan, Alabama’s deputy attorney general, that “all we are arguing about is whether vascular dementia” can be a basis for a determination that, following the court’s rulings in Ford and Panetti, an inmate is incompetent to be executed. Perhaps somewhat surprisingly, Govan agreed. “Yes, yes,” Govan responded. “If someone has vascular dementia or any other mental illness, if it precludes them from having a rational understanding of their punishment, and that they will die when they are executed,” that would meet the standard for incompetency. But, he emphasized, a state court had already decided this issue in Alabama’s favor. Much of the oral argument was then spent on two subsidiary but important questions arising from Govan’s concession. The first was whether the lower court believed that Madison’s dementia could leave him incompetent to be executed, or whether it instead believed that Madison could be incompetent only if he were either insane or delusional. Justice Ruth Bader Ginsburg suggested that the state trial court would have allowed Madison’s execution to go forward because it regarded its inquiry as limited to whether he was insane, while Justice Elena Kagan asked Govan to point to excerpts in the state court’s order to support his contention that the state court took the more expansive view of incompetency. 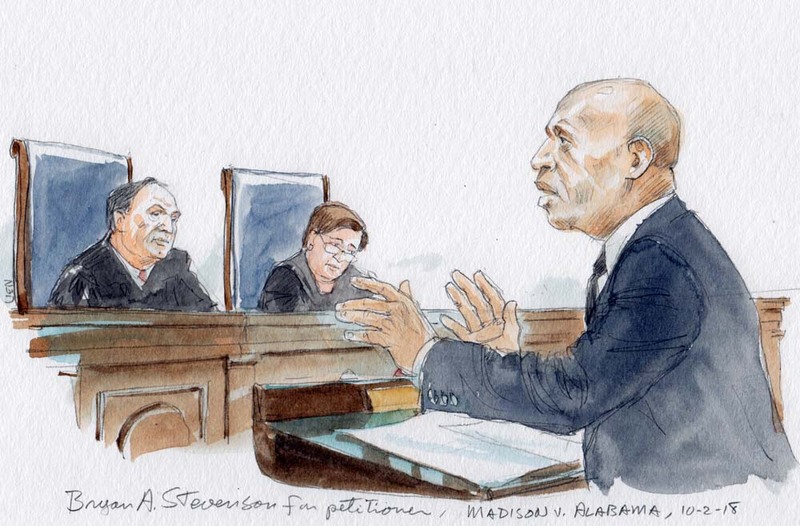 Stevenson pushed back, telling Ginsburg that an inmate’s “abstract understanding that someone who’s convicted of a murder can be executed” doesn’t answer the question whether Madison has a rational understanding of the reasons for his execution. Even when someone might appear to understand what he has been told, Stevenson noted, the “tragedy of dementia” means that he “can’t sustain that understanding.” As an example, Stevenson cited the toilet in Madison’s cell. Madison knows that he has a toilet, and he can tell a visitor or his attorney that he has a toilet, but he can’t remember that the toilet is next to his bed in his five-foot-by-eight-foot cell and therefore regularly soils himself. 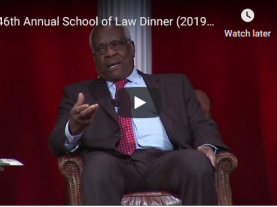 Justice Stephen Breyer proposed a standard to evaluate incompetency claims in cases, like Madison’s, that do not involve arguments that the inmate is insane or delusional. If the inmate does not remember his crime, and is psychologically unable to orient himself to time and place, Breyer asked Govan, would that be enough to deem him incompetent? 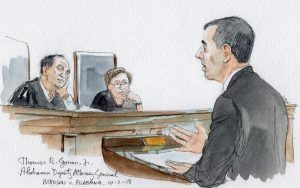 Stevenson made a forceful closing argument in his rebuttal, telling the justices that the Supreme Court has reiterated that if someone is disabled, confused or fragile, it is simply not humane to execute them. 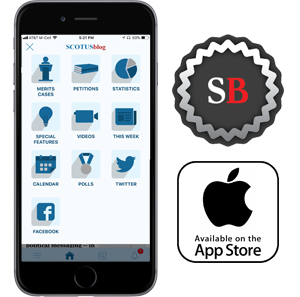 Stevenson almost certainly has the support of the court’s four more liberal justices. But Madison lost in the lower court, so he needs at least one more vote to prevail. Until Justice Anthony Kennedy retired in June, he would have been Madison’s best bet. Justice Samuel Alito seemed unsympathetic to Madison’s case today; Justices Clarence Thomas and Neil Gorsuch did not ask any questions, but they indicated earlier this year that they (like Alito) would have allowed Madison’s execution to go forward. If so, that would leave Roberts, who as the chief justice might have a greater incentive than his colleagues to avoid deadlocking on Madison’s case. One possible outcome would be for the court to send the case back to the state court with specific instructions to consider whether Madison is incompetent because of his dementia – which would be a victory, albeit a narrow and possibly a temporary one, for Madison.